Homegrown commercial vehicle maker Eicher Motors is working on an electric bus is one of the offings from the manufacturer in the coming months, which will be catering to intra-city travels. 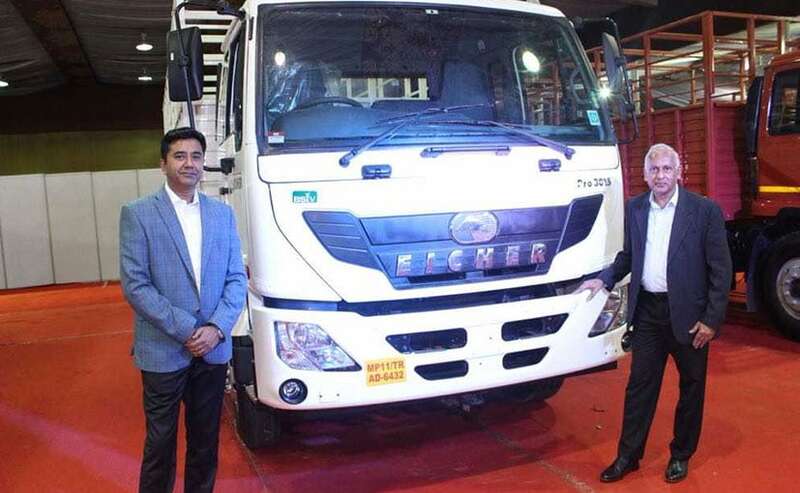 Homegrown commercial vehicle maker Eicher Motors has revealed that it will soon be taking the electric route with its commercial offerings. Speaking on the sidelines of the launch of its new truck variants for the e-commerce industry, VE Commercial Vehicles (VECV), Executive Vice President - Light & Medium Duty Trucks and Buses, Shyam Maller told carandbike.com that the manufacturer is working on an electric bus for the urban markets that will cater to intra-city needs. Without divulging further details on the project, Maller said that the model is currently under development and an announcement will be made soon. With a major push towards electric mobility by the government, VECV becomes the latest manufacturer to join the bandwagon with its electric offerings. VECV is a joint venture between Eicher Motors and Volvo Trucks, collaborating over manufacturing and technology sharing. Elaborating on the electric plans, Maller said that Eicher has the technology for electric vehicles thanks to its association with Volvo and is looking at the right time to introduce the same. Electric buses have only come into action recently in India in a bid to help reduce costs and pollution. Goldstone-BYD became the first CV manufacturer to introduce electric buses in the country retailing buses on the Manali-Rohtang route, while more recently the company delivered six buses to the Mumbai BEST services. Volvo, on the other hand, has been running its hybrid (diesel+electric) buses on selective routes in Navi Mumbai since last year. Eicher's move is a strong sign of manufacturers welcoming the push for electric vehicles. Eicher Motors currently commands a strong market share in the light and medium duty (LMD) vehicles. When asked about plans to enter to Light Commercial Vehicle (LCV) space, presently dominated by Mahindra and Tata Motors, Maller said that Eicher does not have immediate plans for the same, but the company would like to explore electrification in this segment as well. However, the company is also looking at better support from the government to bring the electric dream to fruition. Elaborating on the same, Maller said, "We'd like lower GST levied on electric vehicles, which will further help reduce the procurement cost and automatically drive sales for EVs." Commenting on sourcing batteries from Indian manufacturers, he also said that Eicher was open to the idea. However, it would depend upon the economies of scale that could be achieved which would be mean a more uniform design of batteries for vehicles. Meanwhile, Eicher Motors is looking to consolidate its position in the LMD space and is also working on the upgrading its current range to BS-VI. The company said that it has the technology for the more complex BS-VI engines and will roll out the updated and more efficient much ahead of the deadline of April 2020.